Summary: In this bright, bold picture book, a cast of animal characters are building a brand-new playground in a local park for their community! Each day of the week contains a different construction plan as the steam-rolling, digging, and planting gets underway. Pipe and boards and bricks day. Stack, spin, pour it in. Give the fence a fix day. Take it on the road day. Hoist, haul, pull it all. The construction project comes together for a joyful, rhyming walking tour of a neighborhood, where young readers can learn the days of the week while watching everyone work as a team! Kellee’s Review: This book is more than you would guess from the synopsis and title. It is a story of hard work and team work told with fun rhyming text and silly animals which makes it a book that kids will want to read and adults will want to share with them. And the fun of this rhyming text is multiplied significantly because of the realistic-looking, yet super-silly illustrations. After reading each page, you have to spend extra time looking at everything that is going on in the illustrations. For example, on Tuesday (see the poem in the summary), the giraffe is carrying bricks to an elephant who is building something, but he is in mid-trip. What is going to happen?! You don’t completely know because the next page jumps to the next day, so it would be so much fun to predict with young readers. Ricki’s Review: As a mom, I get a bit tired of the repetition within concept picture books, so I was really excited that this book was different! I have dozens of ABC/Count to Ten books, and my son knows the basic animals on a farm, but he doesn’t know the days of the week very well! After we read this book, I was able to talk to my son about some of the regular things that we do on different days of the week, and he’s started to use their names more regularly. This book would be a great addition to classrooms as teachers introduce calendars. It is fun, engaging, and silly, and we have a lot of fun reading it. The illustrations add a lot of energy to the text, and I couldn’t help but smile as I read it. This book will keep us busy for quite a long time! 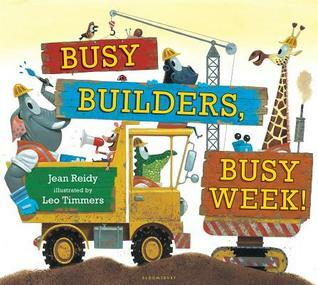 Teachers’ Tools for Navigation: In addition to a fun read aloud and a book that students will want to read over and over again, Busy Builders, Busy Week would make a fun writing mentor text for students to wrote their own rhyming text about what they do during their week. They can use the rhyme scheme of the text to emulate the rhythm of text. Click here for a free classroom curriculum guide and storytime kit! Discussion Questions: What is the rhyme scheme of the text? ; What could you learn from the Busy Builder’s collaboration to help you with successful group work in class? ; How did the Busy Builders work together to be successful? Whether it’s through quiet cuddle time, conversation, or comic relief, engaging the picture book crowd is a delightful task. I like to tell young readers that when we read a picture book, we don’t just decipher the words. We talk about it. We explore it. We discover it. We relate to it. We might move to it. We might even make a little noise. Because picture books aren’t just about words on a page. They’re about sounds and rhythms and poetry and language and voice and life and … pictures! I love to stress, with kids, the importance of reading the pictures. After all, the illustrations in a picture book tell over half of the story. It’s a skill that very young children can master and feel proud of. It’s also art appreciation 101. When you ask a group of young kids, “How many of you are artists?” almost every hand goes up. So when they see picture book illustration as art, they’re introduced to the stories—including their own—that art can tell. I explore with kids the details of an illustration that might tell us more about the central story or a side story or, perhaps, even a different story, than the text reveals. I rarely read a picture book straight through. I ask a lot of questions. I ask kids to predict what comes after a page turn. I ask them to look for clues as to how the story might end. And, most importantly, I ask them questions that might help them connect a book, in a personal way, to what they know, what they’ve experienced and the world they live in. 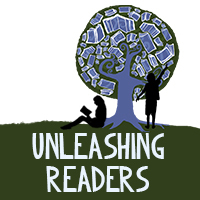 Young readers can feel empowered when they contribute to the conversation about a book. By showing them that I value their discoveries, they not only learn that reading a picture book is rewarding, but that they are valued as well. 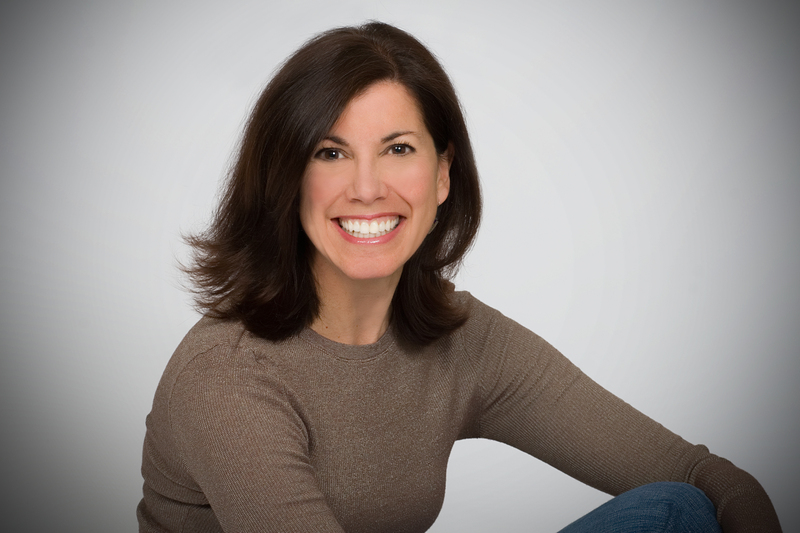 About the Author: Jean Reidy is the author of All Through My Town, Too Purpley!, Too Pickley!, and Too Princessy!, among many other books for children. She writes from her home in Greenwood Village, Colorado. 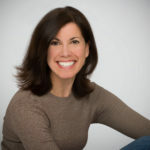 Visit her online at www.jeanreidy.com and @JeanReidy. Don’t Miss the Other Busy Builders Blog Tour Stops! There’s something about this book that reminds me of Richard Scarry’s books — not quite so busy but still filled with busy animals focused on their work lives and interacting with one another. My kids loved Richard Scarry books and I’m certain when I have grandkids, this will be a popular book (I do have neighbor kids who are just the right age!). As far as I know, Scarry never wrote a days of the week book. Yet, time and days of the week are difficult concepts for children to master. This book has plenty of opportunities for child talk too. I love it!